Pay your respects to some of Bratislava's liberators at Slavin War Memorial, a memorial monument and burial ground dedicated to the Soviet Army soldiers killed during the liberation of Slovakia's capital in World War II. Opened in 1960, the cemetery has six mass graves and 278 individual graves. The Stalinist-style memorial dominates the surrounding park with its 39.5 m (130 ft) obelisk topped by an 11 m (36 ft) sculpture of a Soviet soldier waving a flag. The central hall with various statues houses a symbolic sarcophagus made of white marble. Read the dates of the liberation of different places in Slovakia from the inscriptions on the outside walls. 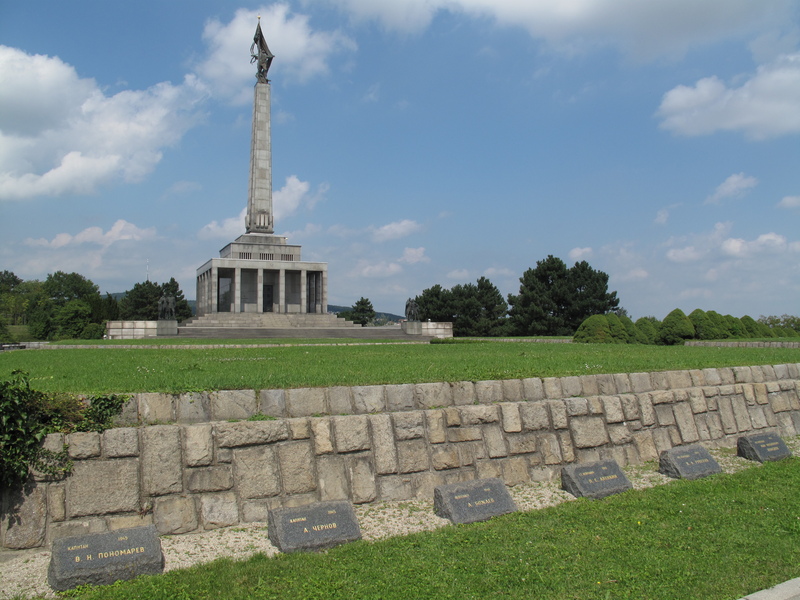 Put Slavin War Memorial into our Bratislava online tour itinerary planner and find out what's close by, where to stay, and where to head next. Every day, we help thousands of travelers plan great vacations. Here are some tips on how to use your Listing Page to attract more travelers to your business - Slavin War Memorial. 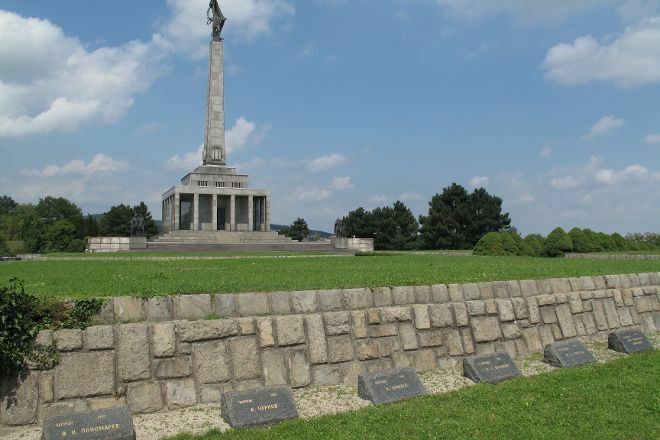 Promote your permanent link - https://www.inspirock.com/slovakia/bratislava/slavin-war-memorial-a885706987 - on your website, your blog, and social media. When a traveler builds a plan from this page, the itinerary automatically includes Slavin War Memorial. This is a great way for travelers looking for a great vacation in your city or country to also experience Slavin War Memorial. Promoting your link also lets your audience know that you are featured on a rapidly growing travel site. In addition, the more this page is used, the more we will promote Slavin War Memorial to other Inspirock users. For best results, use the customized Trip Planning Widget for Slavin War Memorial on your website. It has all the advantages mentioned above, plus users to your site can conveniently access it directly on your site. Visitors to your site will appreciate you offering them help with planning their vacation. Setting this up takes just a few minutes - Click here for instructions.